Palate: Fruit flavors abound, progressing towards the spicier end of the spectrum with liquorice, cloves, and dried figs. A lengthy finish that delights with the taste of stewed apples. 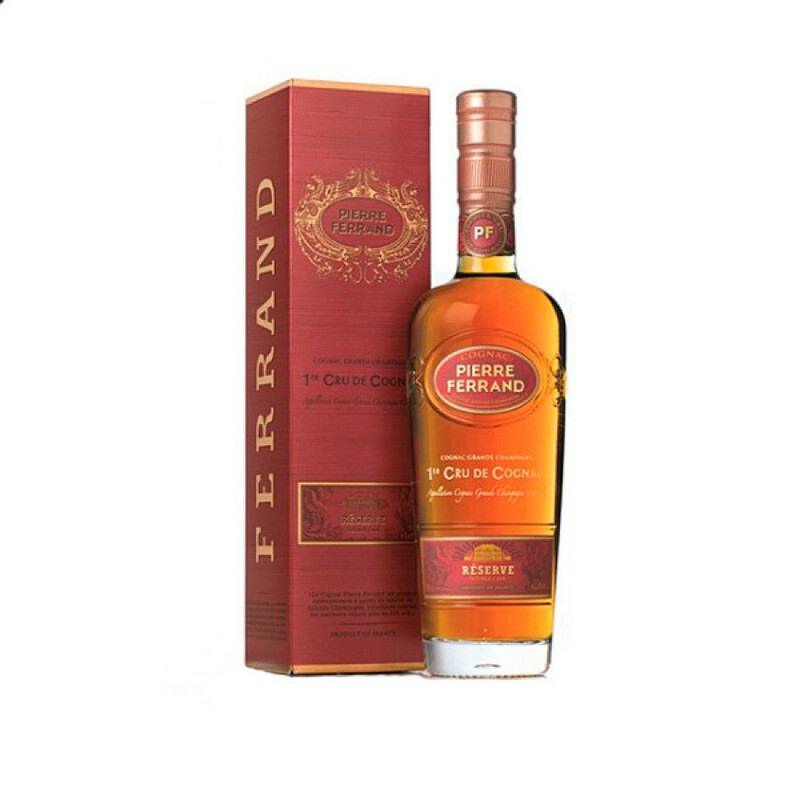 The award winning, Pierre Ferrand Reserve Double Cask Cognac. is a relatively new expression (released in 2017) that's proven so popular it's replaced the similarly packaged, Pierre Ferrand Reserve, in the house's portfolio. This is an ingenious Cognac that ofers the adventurous liquor drinker the chance to taste a well-aged eaux-de-vie that's finished the aging process in barrels other than that of regular Cognac. In this case, the liquid was transferred to very old, rare, casks that once held the fortified French wine known as, Banyuls. Alexandre Gabriel, master blender at Pierre Ferrand, has said that this has been done to mirror the 'golden age' of Cognac in the 1800s. In the past many cellar masters utilized barrels that had previously held other spirits. Finishing off the aging process in such casks can enrich the flavor of a Cognac. Indeed, this was a real tradition all those years ago, but has since been lost to other, more favoured aging techniques. The house of Pierre Ferrand, which looks back at the past as much as it does the future in the production of innovative new Cognacs, is proud to revive such a 'lost tradition'. A wonderful, well aged Cognac with a true depth of character. Enjoy neat, on the rocks, or has more than enough character to shine through as the base spirit of your favorite cocktail.